Women in the Scriptures: A Chance to win Free Artwork, a Copy of my Book and the Study Guides! A Chance to win Free Artwork, a Copy of my Book and the Study Guides! 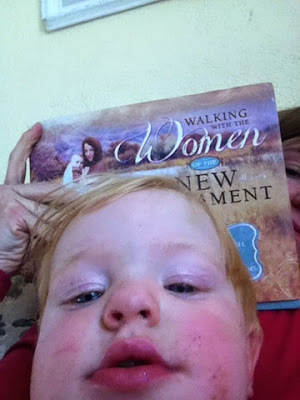 My book "Walking with the Women of the New Testament" has been out now for almost two months and I have been amazed at how well it has been doing. I know that many stores have sold out of it (it is even out of stock on Amazon right now) and the publisher already ordered a second printing! It is surpassing my expectations and so.... thank you! Thank you for your support and interest and for caring about the women in the scriptures. It has been wonderful to get emails from people telling me how the book and the stories have impacted them. I think one of the best emails I got was from a High School friend (who didn't even know I had a blog) who was astonished when one of his Facebook friends posted about me and said she was excited to get up in the morning to do her scripture study because she'd gotten my study guides and was excited to study the women of the New Testament. It made my day to hear from an old friend, and to hear that my book is getting people excited about getting up early to read their scriptures! That is joy and happiness to my soul. I know that many of you have received copies and have been reading them and I'd love for you to write and post a review. And to encourage you to write a review of the book Mandy and I are doing a giveaway! To enter the giveaway you need to do one of the following: write a review of the book on either Amazon or Goodreads, write a review on your blog, or write a review and share it on your Facebook page, Twitter or Instagram feed. If you don't have the book you could do a review of the first volume of the study guide, which you can get for free by signing up for my newsletter (on the right hand side of my blog). And it doesn't have to be a positive review (though obviously I'd be excited if it was) to count. I'd rather have people give honest feedback and opinions. I think a variety of opinions is valuable so feel free to be honest. Printed copies of Volume 1 and Volume 2 of my Study Guide for studying the Women of the New Testament. Your choice of a canvas wrapped temple print from Mandy Jane Williams online shop. 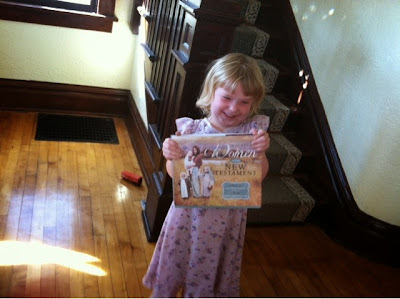 Deseret Book has been printing some of her temple pictures! If you haven't seen them yet, they are stunning. A signed copy (to whomever you so desire) of "Walking with the Women of the New Testament". Is that enough to entice you? I hope so! I can't afford the book right now (my husband is just finishing grad school and we have a medically fragile toddler), but I am saving up for it! I am so excited!!! I am confused I would love one...but fininacial we can't...so how do I get in the giveaway if I don't have one to do a review but want one? Heather, bless you for making your study guide 1 available for free. I just received it a few days ago and I'm so excited to use it. I do not own your book yet but I saw it the other day at the bookstore and spent several minutes looking though it's beautiful pages. I was so impressed with how large it was and how much material it has in it! Your book is at the top of my wish list! I have put in two reviews on Amazon. Both with 5 stars! I did one review for your book and one for your study guides. I'm super excited to use the study guide with my personal study of the New Testament this year. I learn best by note taking and journal keeping so this is just perfect for me this year! Way to go. Thank you so much. I tried to post a comment earlier and my computer froze so I apologize if this is a repeat. I just wanted to make sure I thanked you. I love the study guide. This is the number one book on my "to buy" list. I should be able to purchase next month. If not, I asked for it for valentines day. Woohoo. I am amazed with all I have learned already. Thank you for sharing your extensive knowledge. Your book is beautiful! Thanks so much for sharing your insights and learning on your blog and in your book. So I am curious....who the friend was...I went to school kind of with you. I was a year younger and we have similar friends. I don't think we ever hung out though. I started reading your blog when you first started. I bought your book and posted a very similar thing on my Facebook page about getting up early and reading it. I have enjoyed it although I haven't had as much time to read it and study as I would like. I have been quite ill this past year and have spent much time homebound. I have 'escaped' the days of "cabin fever" by delving into the lives of the women you have written about. Many of these women have gone through many trials and tribulations and have emerged victorious - with a deeper and more abiding love for their Savior. I love these women in the scriptures and your portrayal of them is quite extraordinary. Love the book, love your blog.